Very few 0-0 fighters get the kind of attention Christian Edwards will when he makes his pro debut at Bellator 218, but that’s what comes when you’re a key training partner for UFC light heavyweight champion Jon Jones. You may know him as Jon Jones’ training partner. But you’re about to be introduced to him as Christian Edwards, Bellator MMA light heavyweight. 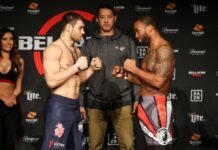 Edwards makes his promotional and professional debut at Bellator 218, and there is no question that it has been an interesting road to this point. For an 0-0 fighter with just a handful of amateur bouts under his belt, there’s also a fair bit of attention. Because of where Edwards trains, the storied Jackson-Wink MMA, and who he trains with, including Jones. He’s taking it all in stride, however, telling Cageside Press ahead of the fight that he’s excited to have a good debut. “I can’t wait to display my skills,” Edwards said. Skills he has now spent years honing. “I was 13 or 14 when that happened. I was being a kid and not really having any interest in anything else, that was a huge inspiration for me,” he told us. Who would have thought that years later, Edwards would end up at Jackson-Wink MMA, the very same gym as Jon Jones. On a scholarship. The very first recipient of the Jackson Wink/Mata Leon scholarship, no less. 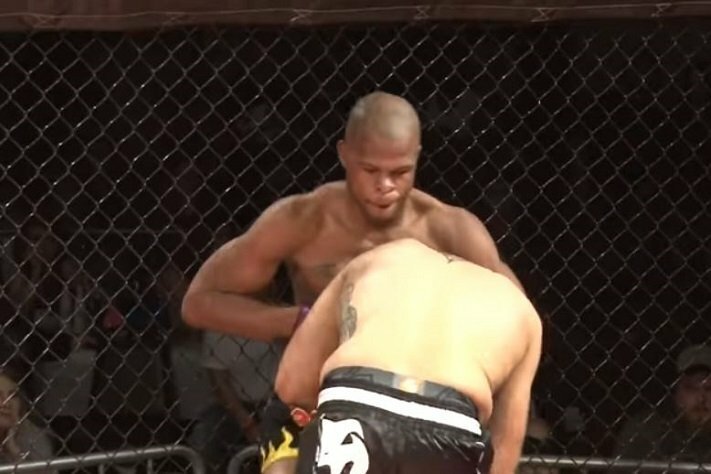 Something unheard of in MMA. Edwards arrived at Jackson-Wink in July, and has been there ever since. This Friday he makes his pro debut in Thackerville, OK, taking on Roman Huerta. It’s a preliminary card fight, fitting for a fighter with no pro fight experience. Yet the expectations remain lofty, again, because of who Edwards trains with. Most fighters, at 0-0, wouldn’t be getting this much attention. Later, he added that he feeds off the attention. A good thing, because all eyes will be on him in Thackerville. They might be expecting Jones 2.0. Edwards is aware of that. Edwards doesn’t feel any pressure to do something spectacular in his debut, just because of his association with Jones. “No pressure at all,” he told Cageside Press. He does, however, want to establish himself as his own fighter in due time. Christian Edwards makes his debut against Roman Huerta this Friday, March 22 at Bellator 218 in Thackerville, OK. The preliminary card airs right here on Cageside Press!